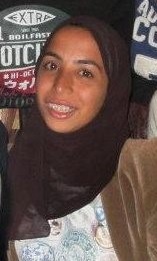 I am Samia El Khodary, an undergraduate student at the American University in Cairo. I majored in Business Administration concentration: marketing, and Economics and a minor in Journalism and Mass Communication I also have strong interest in other fields such as media, food, yoga, and design. I also love traveling, my dream is to travel the world. I wrote on several platforms for Street Sense , Egypt Today,Endeavor Egypt and Cilantro Magazine.